With exceptional services that we at Vikas Packers and Movers offer to the customers of Mumbai our company has enjoyed consisted reputation and recognition. Due to the vast expansion of network at different locations and corners we are able to meet the requirements of the clients and offer services that are exemplary. Our skills of packing and moving have impressed the clients over the years and we have tried to incorporate the best packing and moving techniques for making each move safe to the core. Taking a quick glance ta our services might help. For a majority of the customers reliability is the key aspect of relocation but for one of the most reputed packers and movers in mumbai it is the effort, the friendly behavior and the skills of this task that is crucial for the assistance. •	Our team is dedicated to excellence and we are completely transparent in the dealings. •	The services during relocation are fully customized and we are always at the beck and call of the clients. 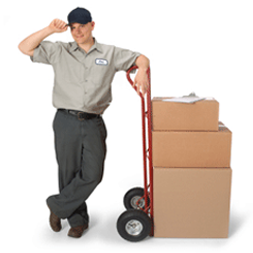 •	You can rely on us for making the process of packing and moving completely economical. Our procedures of packing and moving are reviewed regularly and we have intentions to improve the services continuously with better techniques of packing and moving. When you choose us for packing your goods during relocation you can travel with complete peace of mind. Call to Action: For relevant services of packing and moving in Mumbai Vikas Packers and Movers is the ultimate choice of the customers and call us to day to mitigate the packing woes.